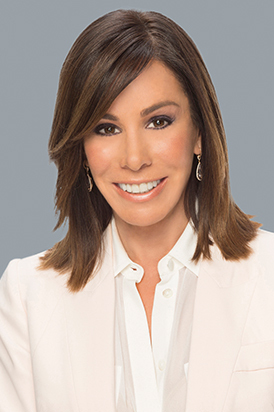 MELISSA RIVERS is an entertainment journalist, equestrian, public speaker, social activist and suicide prevention advocate. Author of the New York Times bestseller The Book of Joan: Tales of Mirth, Mischief, and Manipulation, Melissa starred opposite her mother for four seasons of WE tv’s hit series, Joan & Melissa: Joan Knows Best?. As the Executive Producer and Co-Host of E!’s Fashion Police, she entertains viewers with her candor, wit and eye for fashion, which she honed covering the red carpet for TV Guide and E!. In 2016, Didi Hirsch Mental Health Services honored Melissa with the Beatrice Stern Media Award for her openness about the suicide of her father, television producer Edgar Rosenberg, and her passionate efforts to raise suicide prevention awareness among youth and college students. She has raised funds for the Waterkeeper Alliance, Elizabeth Glaser Pediatric AIDS Foundation and Bogart Foundation for Pediatric Cancer Research. Melissa is a board member of the Entertainment Industries Council whose mission is to lead the entertainment industry in bringing influence to bear on health and social issues. While her professional achievements are plentiful, she considers her role as a single mother to her son, Cooper, to be her biggest accomplishment.